Type and Characteristics: Turbo-electric cutter, Lake-class (250-footers), built by General Engineering and Drydock Co, Oakland, CA at cost of $900,000 (hull & machinery), launched 11 September 1930, commissioned 10 January 1931, 2,075 tons displacement, 250ft long x 42ft beam x 12ft 11in draft, 17.5kts, armed with 1-5in/1-3in/2-6pdr (1929), crew of 97 (1940). Log Period and Areas of Service: 1931-41, Bering Sea, Alaskan waters, Royal Navy from 1941. 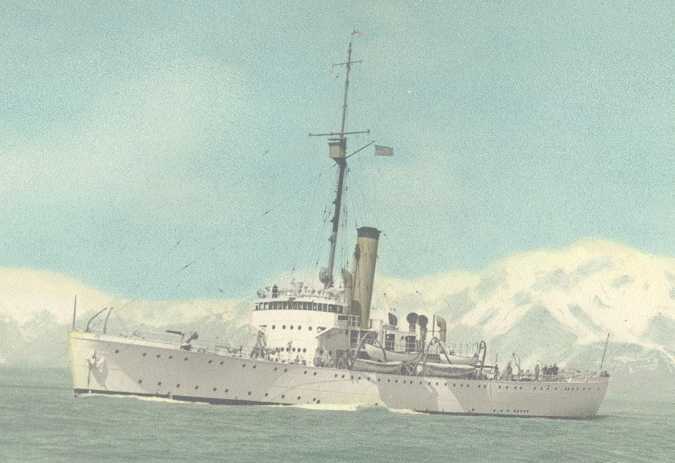 10 January 1931 – Commissioned and homeported in San Francisco, California, participating in the Bering Sea Patrol for the next 10 years. 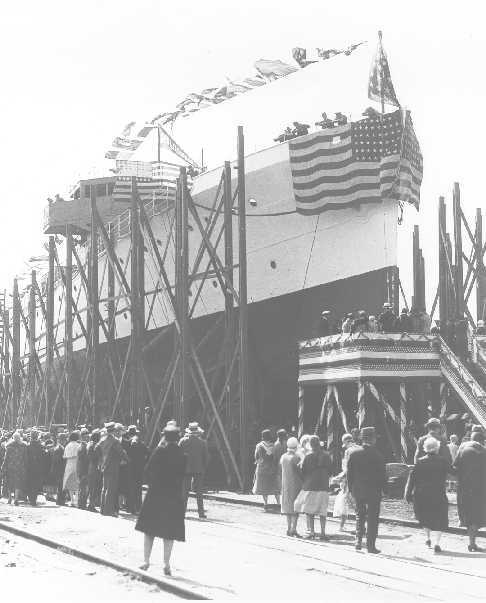 5 April 1941 – One of ten 250-foot cutters of the United States Coast Guard transferred to the United Kingdom, in accordance with the terms of the Act of 11 March 1941. She was the only one of the cutters to survive the war and not be returned to the United States. Fate: Decommissioned 1941, transferred on 20 May 1941 to Royal Navy, renamed HMS Landguard (Y.56). Sold in Manila 1949, arrived Ceylon (Sri Lanka) for scrapping 1950.